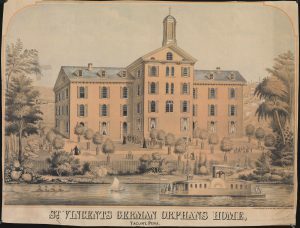 Founded by the Sisters of St. Joseph in 1797 after the yellow fever epidemic of 1793 in Philadelphia, the St. Joseph’s Orphan Asylum operated until 1984. In the last decade of the nineteenth-century, the institution housed two hundred children but continued to grow. A new building was constructed in Germantown and named after Sister Mary Gonzaga Grace, a Sister of St. Joseph who oversaw the asylum’s growth. The children at the asylum’s original location were eventually transferred to the Germantown building in 1944 as maintenance expenses grew for the aging building. St. Joseph’s closed in 1984 as more orphaned children were placed in foster care rather than being institutionalized. Gonzaga lived in the original asylum building and worked as its head for several years until her death in 1897. Gonzaga Memorial, St. Joseph’s Germantown location, is no longer standing. 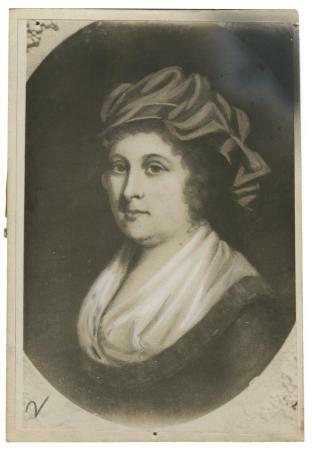 Sarah Clarkson Ralston, daughter of one-term Philadelphia mayor Matthew Clarkson (1792-96), married Robert Ralston in 1785. They were philanthropists and helped establish of the Orphan Society of Philadelphia in 1814, along with Rebecca Gratz and Julia Rush. The orphanage intended to provide housing and education for Philadelphia’s poor, white children. 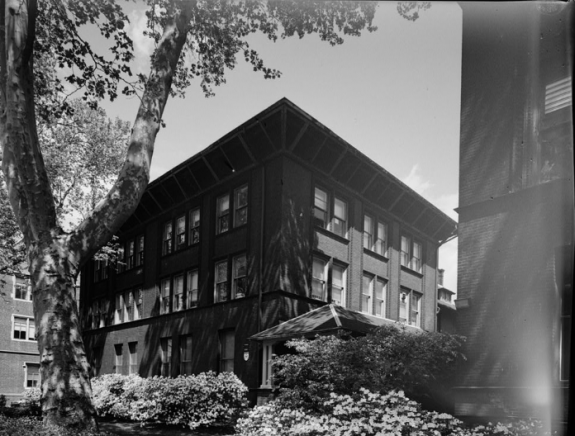 After helping to create the Orphan Society of Philadelphia, Ralston created the Indigent Widows and Single Women’s Society in 1817, now known as the Ralston Center. The Orphan Society of Philadelphia received a donation of land from Samuel Wetherill, Samuel Richards, Samuel Archer, and Robert Ralston, and by 1818 the new home at Eighteenth and Cherry Streets in Philadelphia housed thirty-six orphans. By 1822 the total had risen to ninety, but a fire that January destroyed one of the buildings and killed twenty-three children. Funds were raised for the construction of a second orphanage on the site by the middle of the nineteenth century. 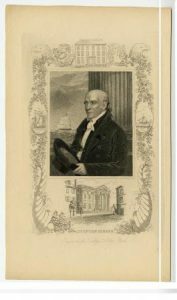 Stephen Girard immigrated to Philadelphia from France in 1776. In the same year, he married Mary Lum. During the yellow fever epidemic of 1793, Girard stayed in Philadelphia to help the sick and dying while many others fled the city. 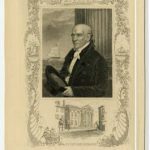 Girard purchased most of the stock and the building of the First Bank of the United States in 1811. When he accumulated enough funds, he became a primary source of credit for the government during the War of 1812. Upon his death, he left his fortune to charitable institutions in Philadelphia, including funds to establish Girard College, founded in 1848, for poor, white, orphan boys. 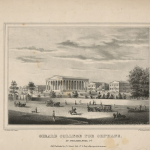 Girard College, established under the bequest of financier Stephen Girard, opened in 1848 to provide educational opportunities to “poor, white, male, orphans,” as stipulated by Girard’s will. In 1968, the school’s policies changed to also admit African American boys, and later to admit girls. In 2017, the school operated as a five-day college preparatory boarding school with students in first through twelfth grades. Admitted students must come from a single-parent and low-income home to receive a yearly full scholarship. Opened in 1855 by the Sisters of Notre Dame, St. Vincent’s Orphans Asylum sheltered girls in the Tacony section of Philadelphia. It was founded in response to the influx of German immigrants into the city. The building along the Delaware River still stands, but it is no longer an orphanage. Founded in 1882 by Eleanor Parker Foulke Long and her husband, Burgess B. Long, the Foulke and Long Institute for Orphan Girls originally served orphaned daughters of soldiers, firemen, and other civil servants. 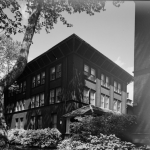 In 1888, the Foulke and Long Institute merged with the Industrial Home for the Training of Girls in the Arts of Housewifery and Sewing, which began in 1859. Foulke and Long moved to Germantown in 1913, and moved again to merge with the Youth Study Center of Philadelphia in 1960. A Foulke and Long building at 205 Thirty-Fourth Street, once with a dormitory, refectory, and kitchens, now is part of the University of Pennsylvania campus. Carson College for Orphan Girls, founded in 1917 by Robert and Isabel Carson, in the early twenty-first century remains anchored by several buildings erected from its founding to 1932. When the school formally opened in 1918, ten students were enrolled. Enrollment peaked in 1931 at 124 girls, a majority of them from Philadelphia. Girls received an education through classes and field trips, and they performed chores around the school. 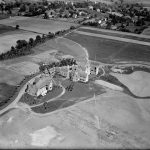 They also worked on the Carson farm, which provided much of the food consumed at the college. Older girls often received vocational training and could earn money during the summer months. The girls also attended local church services on Sundays. In 2008, Carson College merged with the Children’s Aid Society and was renamed Carson Valley Children’s Aid. The school operates as both a residential and day school, providing regular and special education. Carson Valley Children’s Aid serves boys and girls between sixth and twelfth grades. 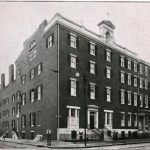 Philadelphia’s earliest orphanages grew out of social projects intended to help impoverished families. As early the first decades of the eighteenth century, city officials created organizations such as the Overseers of the Poor (later the Guardians of the Poor) to provide relief to those, such as the elderly, widows with children, and orphans, who faced poverty through no fault of their own. By the beginning of the nineteenth century, private groups established orphanages to care for children whose parents could not support them because of poverty or death. By the late twentieth century, group homes and foster care largely replaced orphanages as the primary means of caring for such children. Prior to the rise of orphanages, orphans often roamed the streets, worked as apprentices through indenture, or faced confinement to almshouses, jails, or insane asylums (State Hospitals). Although many children were orphaned because both parents had died, in other cases orphans still had one or both parents, but due to poverty, illness, widowhood, or other hardship, their parents were unable or unwilling to care for them. Institutions sometimes took in children on the guarantee that a parent would contribute financially to care for their child. Some orphans were indentured out by their extended family, institutions also indentured orphan children. In exchange for labor, these arrangements provided “bound” orphans with gender-specific training, such as agriculture and trades for boys and housewifery for girls. Though rather harsh in nature, these indenture agreements persisted into the early twentieth century. At the end of the eighteenth century, both war and disease contributed to child homelessness. Local Catholic and Jewish women responded by becoming involved in charitable work. 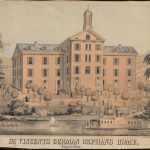 The Sisters of St. Joseph founded St. Joseph’s Orphan Asylum (1797–1984) at Seventh and Spruce Streets following Philadelphia’s deadly yellow fever epidemic of 1793. In 1801, Rebecca Gratz (1781–1869), along with a cohort of women volunteers, established the nonsectarian Female Association for the Relief of Women and Children in Reduced Circumstances to address the needs of “honest and industrious” families left destitute through no fault of their own; it operated a soup kitchen as well as a home for widows and orphans. Orphanages were largely directed by women, a trend that persisted until the late nineteenth century, when social work became more professionalized. In spite of such efforts, abandoned children were a serious social problem by the early nineteenth century. Disease, immigration, and growing urbanization continued to put a strain on the city’s limited resources. In 1814, a group of Philadelphia women, including Sarah Ralston (1766–1820), Julia Rush (1759–1848), and Rebecca Gratz, founded the Orphan Society of Philadelphia (1814–1965), the region’s first nonsectarian (though Presbyterian-influenced) orphanage, to provide the city’s poor, white, fatherless children of married parents the support and moral education that would eventually render them valuable members of society. Philadelphia was one of the few cities in the United States prior to 1855 that also established orphanages for what were categorized as “special classes” of children. Since white orphanages barred black children, they were housed with adults at local almshouses. To address this concern, Quaker women established the Association for the Care of Colored Orphans, also known simply as “The Shelter,” in 1822, at Forty-Fourth Street and Haverford Road. The Shelter cared for both boys and girls and offered a homelike environment. New Jersey chartered the West Jersey Orphanage in 1874 to care for “destitute colored children,” which was led by Quakers John Cooper (1814–1894) and his wife, Mary. Located at Oak and Chestnut Streets in Camden, it remained operational until the 1920s, at which point the children were moved to the Camden Home for Friendless Children (1865–1979) at the corner of Fifth and Plum (later Arch) Streets. By the mid-nineteenth century, reformers viewed orphanages as a progressive alternative to housing children with adults in almshouses, where, they feared, they would be exposed to criminals and social deviants. 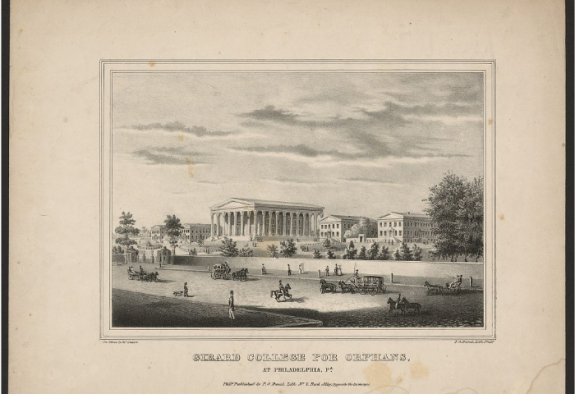 Girard College, opened in 1848 for “poor white male orphans,” embraced the model of providing young boys instruction in the trades and mechanical training. 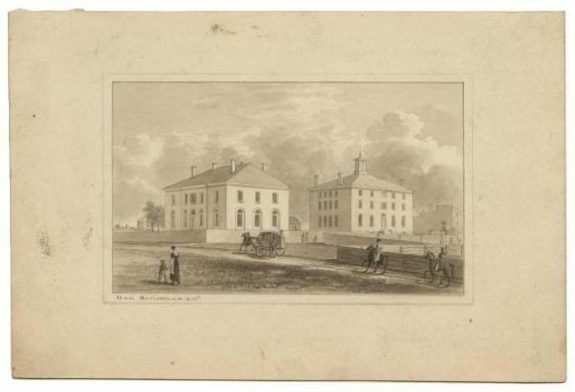 The school was founded at the direction of Stephen Girard (1750–1831), who left a $2 million endowment in his will to establish the school, situated north of Poplar Street and Ridge Avenue, a location that Girard believed would provide solace from city life and allow boys to escape poverty by obtaining an education that would otherwise have been unavailable to them. Eventually, Pennsylvania (1883) and New Jersey (1899) passed legislation prohibiting the institutionalization of children in asylums designated for adults. Such views led to the creation of several privately funded orphanages, most of which highlighted the need for education, moral reform, and skills training. Faith-based groups also founded orphanages in the mid-nineteenth century. 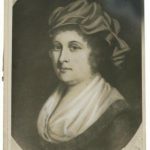 Rebecca Gratz, who served for forty years as secretary of the Orphan Society of Philadelphia, established one of the nation’s first orphanages specifically for Jewish children. Gratz created the Hebrew Sunday School program in 1838. By the end of the nineteenth century, this program opened branches across Philadelphia and served over four thousand students. Out of fear that orphaned Jewish children would be reared in non-Jewish asylums and be estranged from the Jewish community, she founded the Jewish Foster Home Society (later the Jewish Foster Home and Orphan Asylum of Philadelphia), located at North Eleventh and Brown Streets, in 1855. Catholics also operated institutions to provide care for abandoned children. 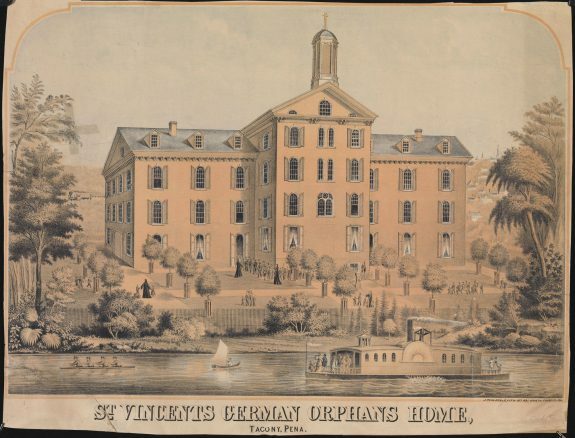 The Sisters of Notre Dame ran St. Vincent’s Orphan Asylum of Tacony, also established in 1855, to serve girls identified as dependent or delinquent. By the late nineteenth century, orphanages adopted a rehabilitative model, in keeping with beliefs that philanthropy and charity ran counter to progressive ideals of self-sufficiency and self-reliance. New institutions, commonly referred to as industrial schools, emphasized practical skills. Industrial schools did not aim to elevate the social standing of orphans, but rather, to prepare them for a life of genteel poverty. 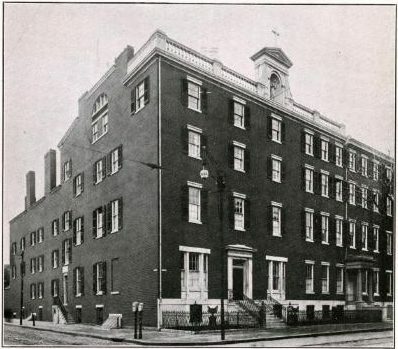 The Foulke and Long Institute for Orphan Girls, originally established at Twelfth and Arch Streets in Philadelphia in 1882 and funded by the endowment of Eleanor Parker Foulke Long (1792–1882) and her husband, Burgess B. Long (1796–1873), served daughters of soldiers from the Civil War, as well as daughters of firemen and other public servants who had “sacrificed for the public benefit,” in accordance with instructions Long had left for the disposition of her estate. Pennsylvania’s first industrial school for girls, the institute provided residence in a Christian setting as well as a traditional education coupled with training in the industrial, social, and cultural arts. In 1888, it merged with the Industrial Home for the Training of Girls in the Arts of Housewifery and Sewing. Other privately funded and run facilities provided practical education for orphaned and abandoned boys, such as St. Francis de Sales Industrial School (1888), in Eddington, Pennsylvania; St. Joseph’s House for Homeless Industrious Boys (1888), in North Philadelphia; St. Joseph’s Industrial School (1896), in Clayton, Delaware; and the Delaware Orphans’ Home and Industrial School (1899), in Wilmington. In 1909, the White House Conference on Children embraced the notion that home life was the “highest and finest product of civilization” and that, if possible, children should be placed in foster homes rather than institutions or indentured arrangements. In the early 1900s, social agencies began to pay and supervise foster parents. Home inspections became mandatory, and increasing professionalization in the field of social work called for inspectors to maintain records and evaluate the living situations of individual children. While encouraging reunification of children with their families whenever possible, the foster care system paved the way for additional related child welfare reforms, such as adoption, nutrition and vocational training, and child labor laws. Findings presented at the 1909 conference also led to significant restructuring of orphanages. Organizations that previously functioned independently joined under a single umbrella. For example, the Catholic Children’s Bureau, created in 1919, attempted to centralize child welfare efforts. In addition, the increasing professionalization of the social work coupled with increased regulation of childcare institutions and support of the foster care system contributed to the decline of the orphanage. Such reforms would eventually lead to more comprehensive reforms to protect children from abuse or neglect in the latter half of the twentieth century. In the 1930s, during the Great Depression, the numbers of children needing assistance continued to rise as the prevalence of orphanages declined with the advent of new social programs. The Social Security Act of 1935 represented one federal government attempt to provide financial assistance to families in need. By the end of the Second World War, most orphanages had closed or were replaced by smaller institutions that tried to promote group home environments. Federal legislation concerning child abuse in the 1970s drew national attention to the need for child protection. The Adoption Assistance and Child Welfare Act of 1980 was created to serve children in their own homes, prevent external placement, and facilitate the reunification of families. Despite such reform, the late 1980s and 1990s experienced increases in child neglect and foster placements. Cuts in public funding led to a decrease in child welfare resources. Church-based organizations such as Catholic Social Services (previously the Catholic Children’s Bureau) stepped in and expanded outreach beyond foster care and adoption to include programs for immigrants, the elderly and medically fragile, and those in need of transitional housing. Catholic Social Services became one of the largest nonprofit providers of social services in Southeastern Pennsylvania, with centers such as Casa del Carmen (originally located at Seventh and Jefferson Streets), created in 1954, which supported the transitional needs of Puerto Rican immigrants. Institutes such as the Foulke and Long Institute and the Carson Valley School broadened their scope. The Foulke and Long Institute merged in 1960 with the Youth Study Center of Philadelphia, an organization that began in 1909 as the House of Detention. Its primary role was to provide education and medical care to abused and neglected children, as well as to those who had been accused of minor delinquency infractions. The Carson Valley School merged with the Children’s Aid Society in 2008 and shifted to serving families in need of drug and alcohol outpatient services and crisis counseling. By the twenty-first century, community group homes for families in need of transitional housing, family preservation programs, and services such as those offered by the Department of Human Services, delivered in client homes, had largely replace orphanages. Charitable organizations that had formerly provided care for orphans had broadened their agendas to provide services to those suffering from mental illness and homelessness, as well as to those in recovery from drug and alcohol addiction. Alexander, John K. Render Them Submissive: Responses to Poverty in Philadelphia, 1760–1800. Amherst, Mass. : University of Massachusetts Press, 1980. Ashton, Dianne. Rebecca Gratz: Women and Judaism in Antebellum America. Detroit, Mich.: Wayne State University Press, 1997. Clement, Priscilla Ferguson. Welfare and the Poor in the Nineteenth-Century City: Philadelphia, 1800–1854. Rutherford, N.J.: Fairleigh Dickinson University Press, 1985. Contosta, David R. Philadelphia’s Progressive Orphanage: The Carson Valley School. University Park: Pennsylvania State University Press, 1997. Cooter, Roger, ed., In the Name of the Child: Health and Welfare, 1880–1940. London: Routledge, 1992. Crenson, Matthew R. Building the Invisible Orphanage: A Prehistory of the American Welfare System. Cambridge, Mass. : Harvard University Press, 2001. McCarthy, Kathleen D. American Creed: Philanthropy and the Rise of Civil Society, 1700–1865. Chicago: University of Chicago Press, 2005. Piven, Francis Fox. Regulating the Poor: The Functions of Public Welfare. New York: Pantheon Books, 1971. Smith, Billy G., ed. Down and Out in Early America. University Park: Pennsylvania State University Press, 2004. 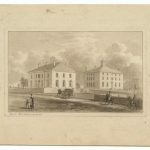 Almshouse Records, Girard College History Collection, Orphan Society of Philadelphia Records (1815–1965), St. Joseph’s Orphan Asylum Records, and St. John’s Orphan Asylum Records, Historical Society of Pennsylvania, 1300 Locust Street, Philadelphia. Association for Jewish Children Records (1855–1973), Special Collections Research Center, Temple University Libraries, Temple University, Philadelphia. David Contosta Collection, Chestnut Hill Historical Society, 8708 Germantown Avenue, Philadelphia. 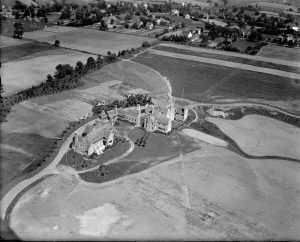 Daughters of Charity Provincial Archives, St. Joseph’s Orphan Asylum, 341 South Seton Avenue, Emmitsburg, Md. Female Association for the Relief of Women and Children in Reduced Circumstances, Haverford College Quaker & Special Collections, 370 Lancaster Avenue, Haverford, Pa.
Foulke and Long Institute for Orphan Girls records, Germantown Historical Society, 5501 Germantown Avenue, Philadelphia. Guardians of the Poor Records, Philadelphia City Archives, 3101 Market Street, Philadelphia. Carson Valley Children’s Aid (formerly Carson College for Orphan Girls), 1419 Bethlehem Pike, Flourtown, Pa.
Casa del Carmen, 4400 N. Reese Street, Philadelphia. Delaware Orphans’ Home and Industrial School, 1123 Walnut Street, Wilmington, Del. Foulke and Long Institute, 205 & 209 S. Thirty-Fourth Street, Philadelphia. Jewish Foster Home Society (original location), 799 N. Eleventh Street, Philadelphia. Jewish Foster Home and Orphan Asylum of Philadelphia (also previous site of Ancilla Domini Academy), 700 E. Church Lane, Philadelphia. St. Joseph’s House for Homeless Industrious Boys, 1515–1527 W. Allegheny Avenue, Philadelphia. St. Joseph’s Industrial School, 355 W. Duck Creek Road, Clayton, Del. I am trying to get information for a baby sent to this orphanage in 1887. Where can i find records for St. Joseph Orphanage Asylum?